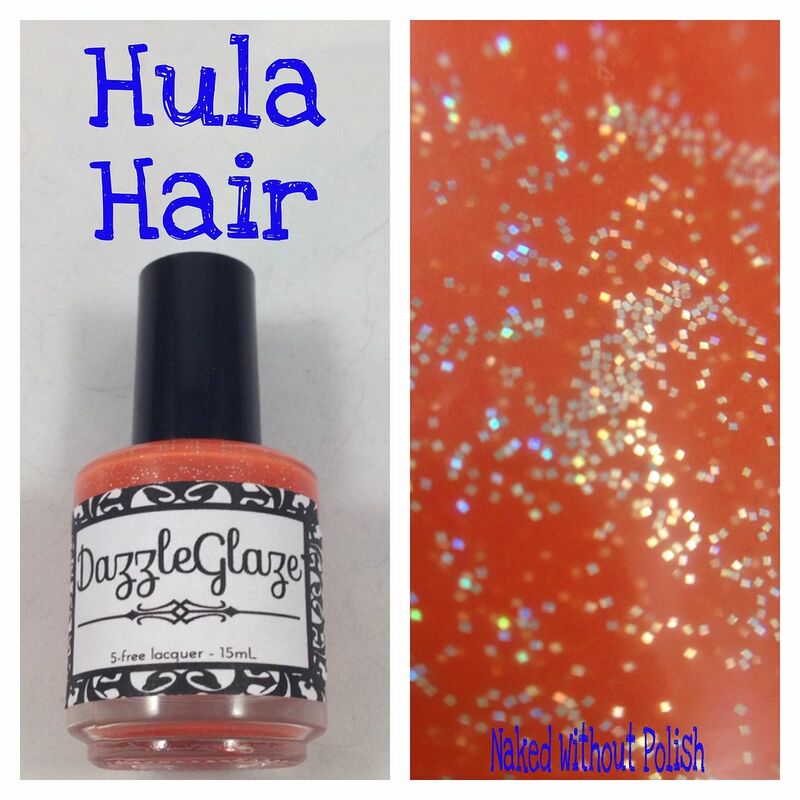 In case you're not familiar with DazzleGlaze, it is a small portion of Radiantly Vivacious. She also sells phone cases, home decor, and wedding decor. Her polishes vary from 3-Free to 5-Free. The five polishes I have for you today are all 5-Free, meaning they do not contain Dibutyl Phthalate, Formaldehyde, Formaldehyde Resin, Toluene, or Camphor. Her polishes range from $7.50 - $8.50. So, please check out these five lovelies in the Retro Doll Collection from the new (to me) DazzleGlaze. I hope to be sharing so much more from her in the future, but you'll want to check these out in the mean time! 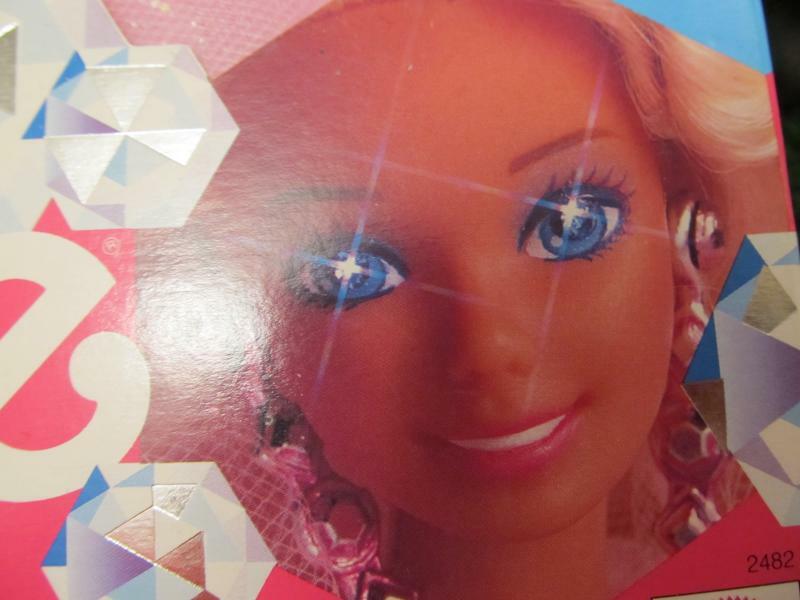 Sparkle Eyes is inspired by the 1991's Sparkle Eyes Barbie. I never owned this one, but I had a friend who did and I loved playing with her every time I went over to her house. I was always mesmerized by her eyes. 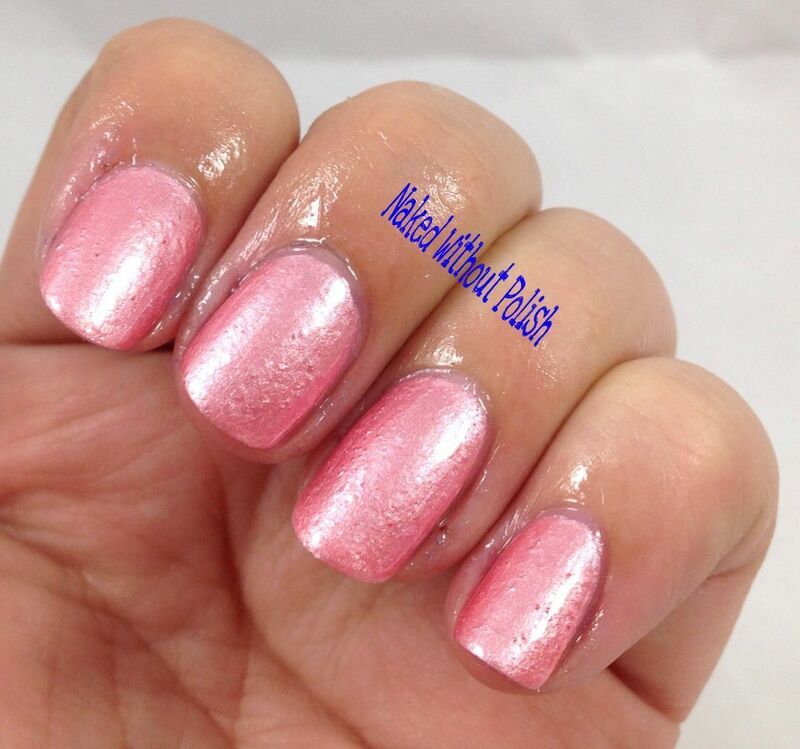 It is described as "a really lovely and girly pink with a sprinkling of white flaky glitter throughout. 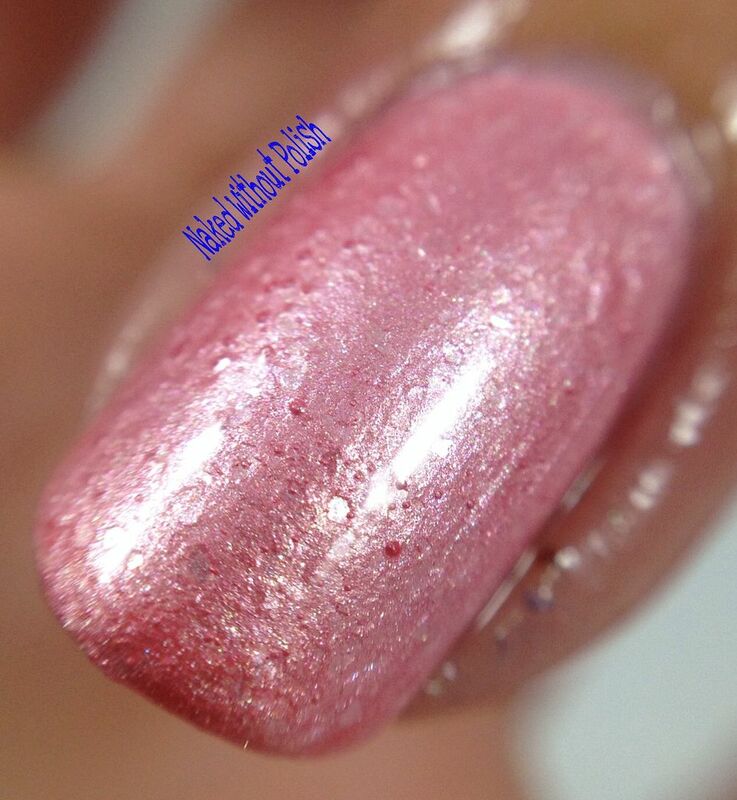 The flakies create a very subtle shimmer effect". 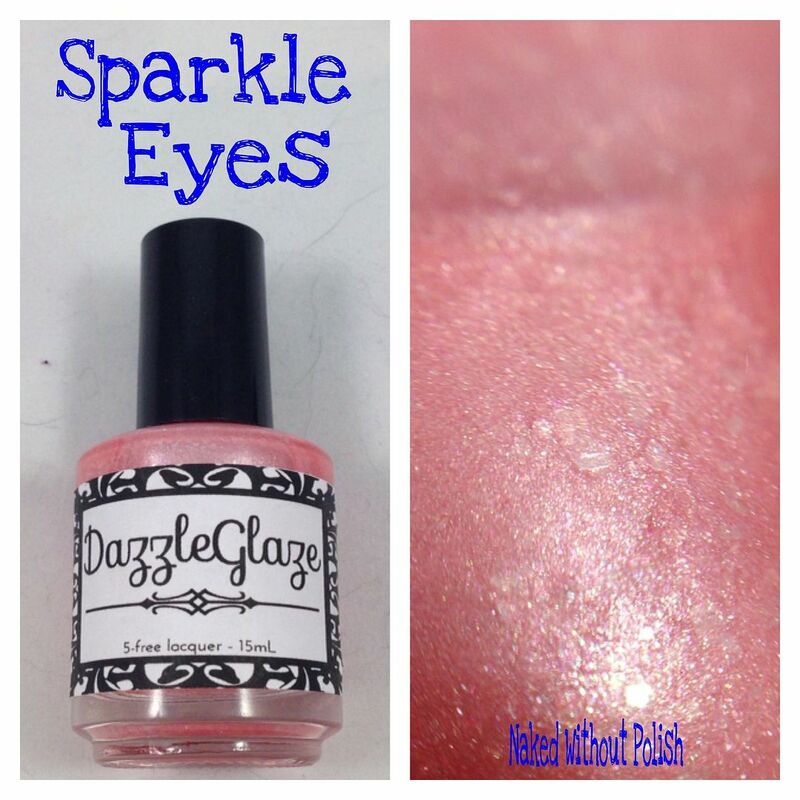 In my words, Sparkle Eyes is a sheer pink shimmer filled with white micro flakies and pale pink glitter in different sizes and shapes. Sparkle Eyes applied beautifully! The formula was great and gave me no issues. Barely any clean up needed. 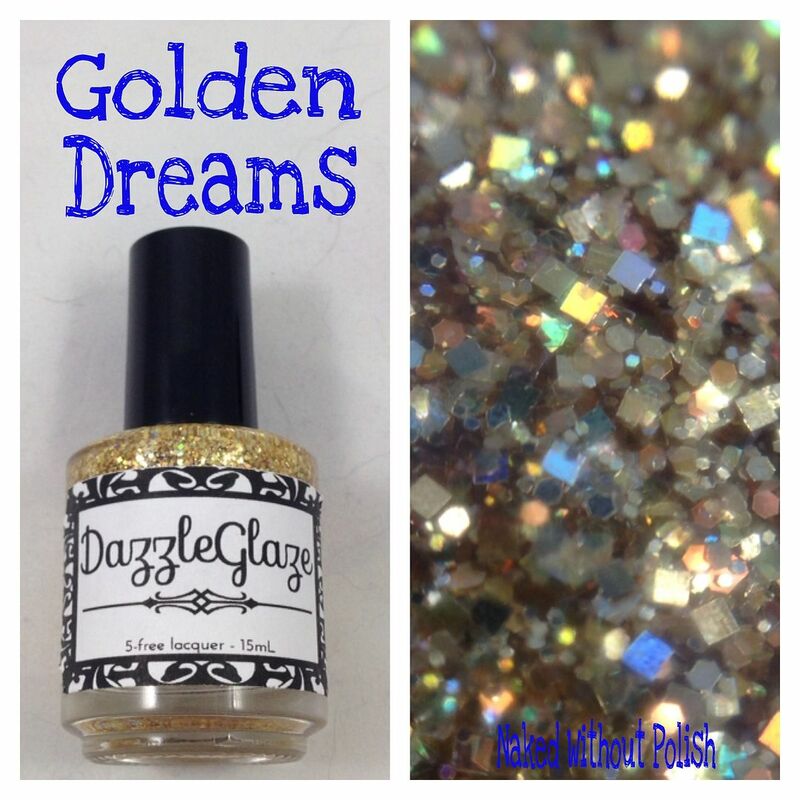 Golden Dreams is inspired by the 1981's Golden Dream Barbie. Another one I never owned. This one came out the year I was born, definitely took a while for me to get into Barbies. She's a classic though! 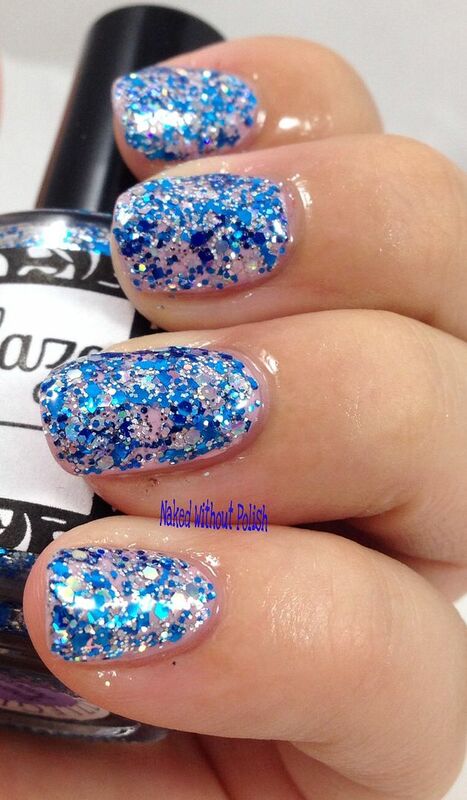 It is described as "a bling-tastic glitterbomb topper full of gold and white holographic glitters in various sizes". 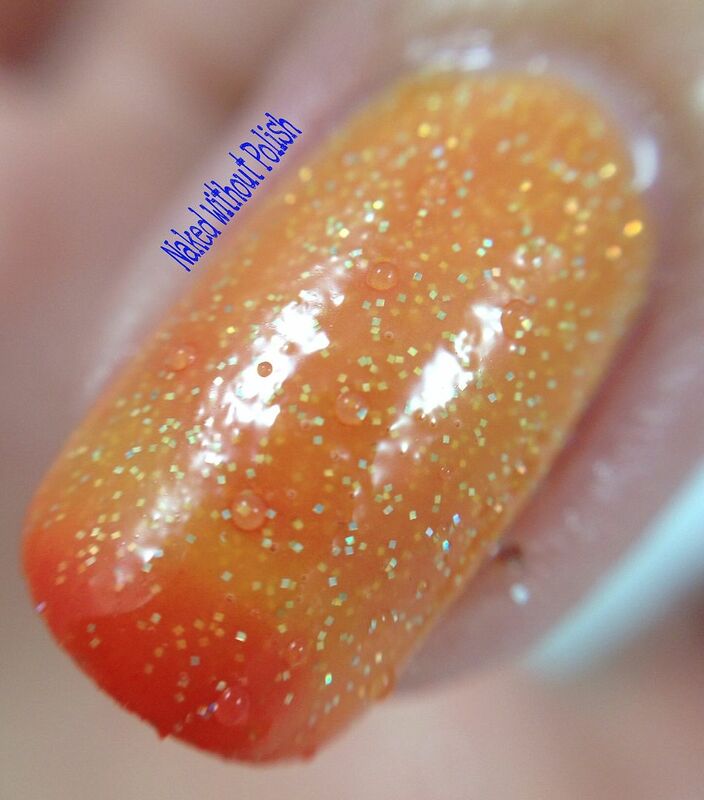 Shown is one dabbed coat over Zoya Rocha with top coat. The formula on Golden Dreams is on the thicker side. 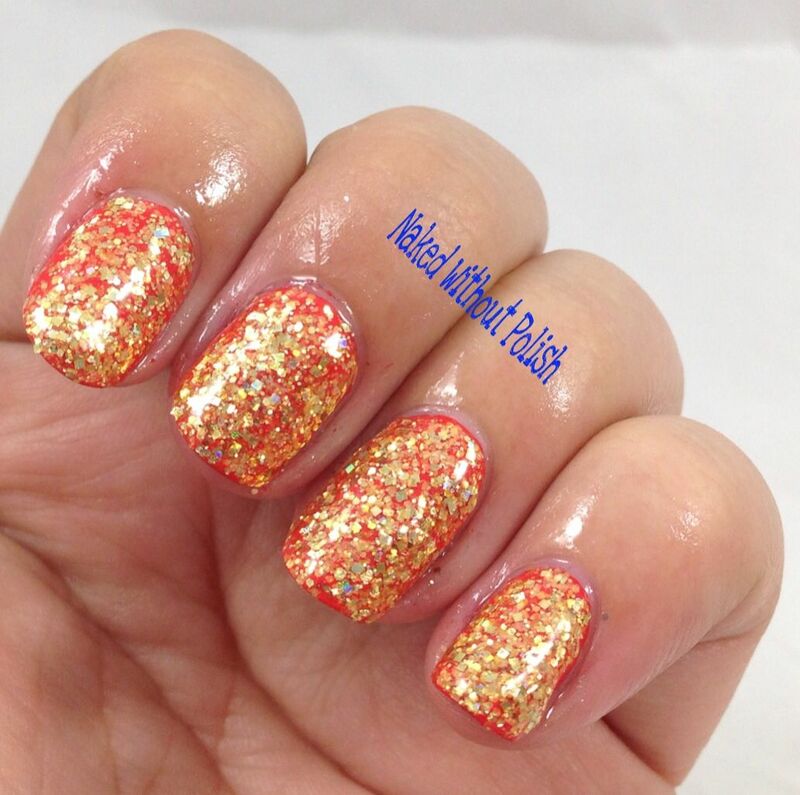 However, it wasn't difficult to apply, and it allowed me to get a ton of glitter without several coats. Super sparkly!!! 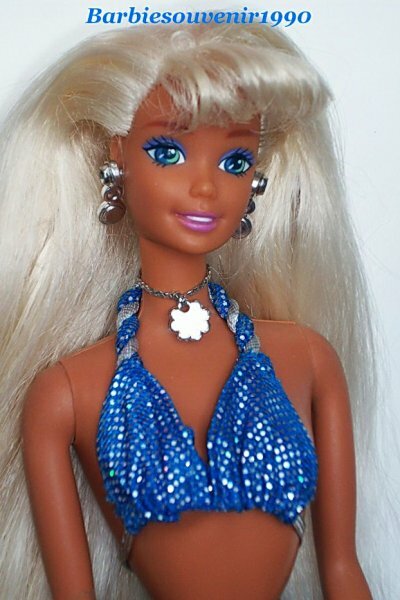 Disco Jeans is inspired by the 1989's Disco Jeans Barbie (or as she was known here in the US...Barbie & the Beat). I had this one and loved her so much! I think my sister and I actually fought over who would get to play with her when we'd play together. 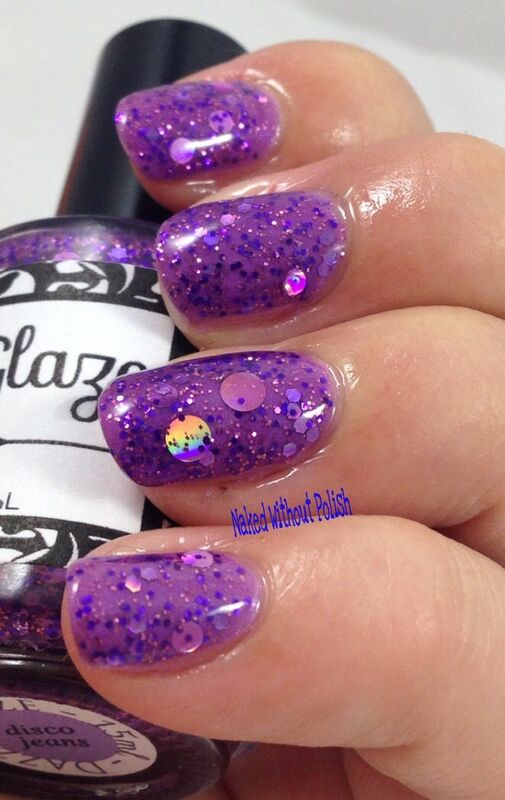 It is described as "a deep purple jelly polish that contains several different kinds of pink and purple glitter". 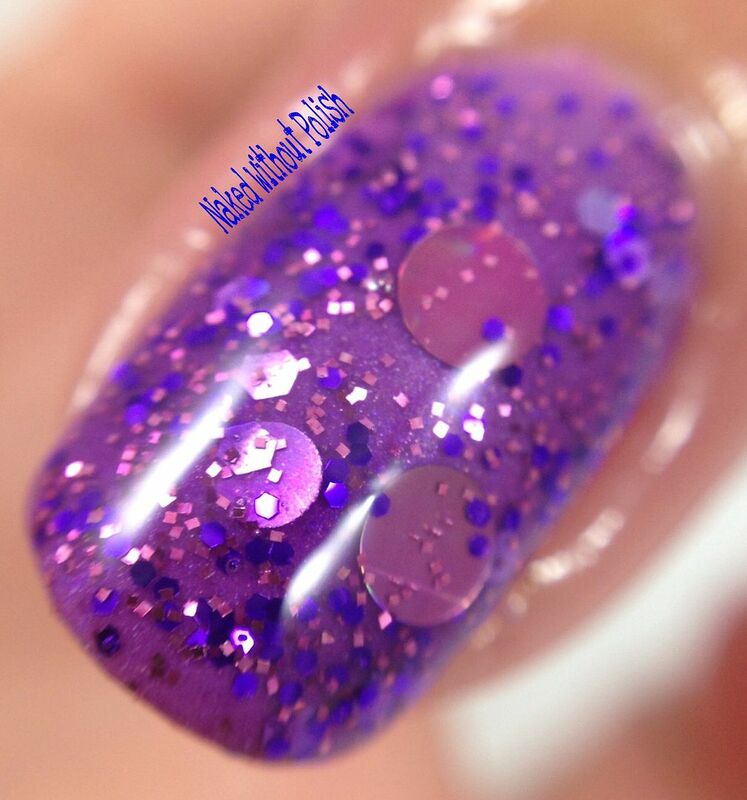 Shown is one coat over A Girl Obsessed Candied Orchid with top coat. 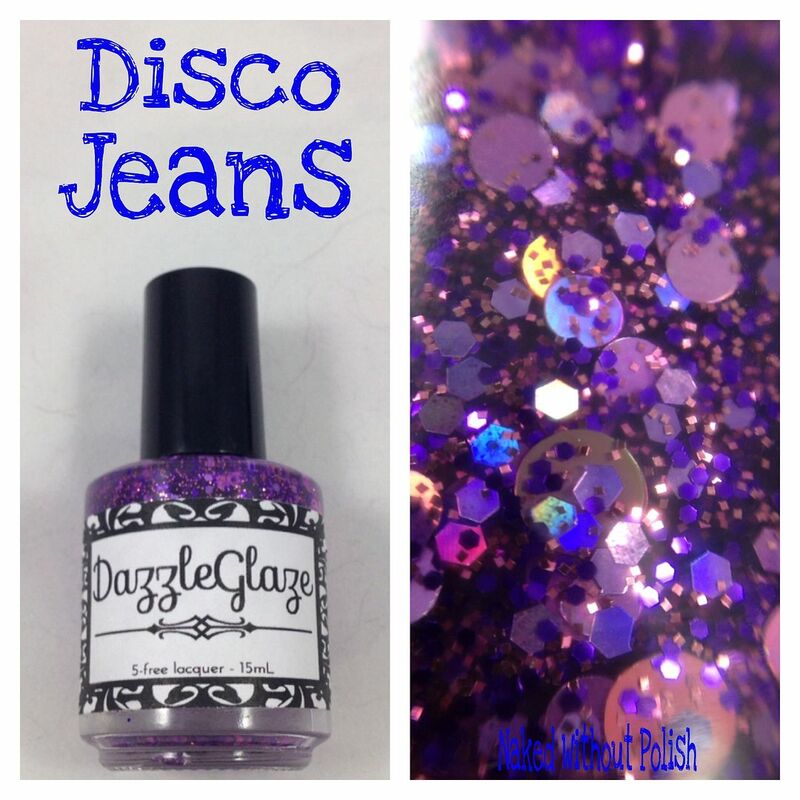 Disco Jeans also comes with a small baggie of the larger pink holo dots. 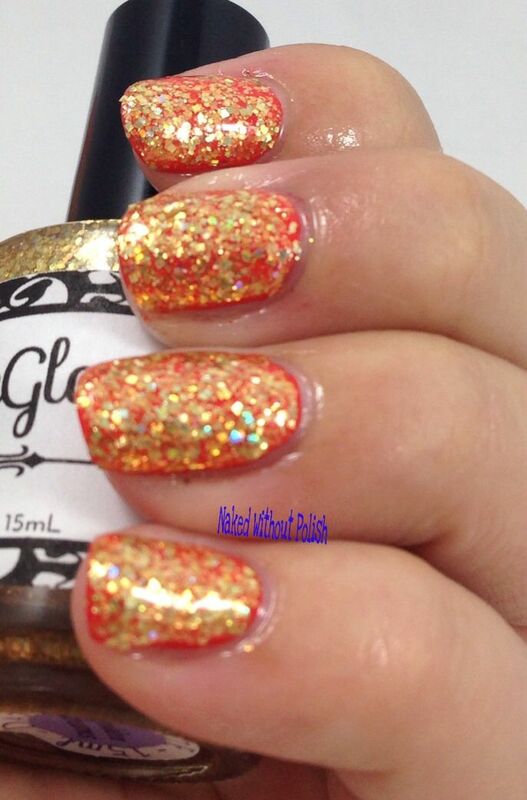 I had no problems getting them out of the bottle without fishing, so I did not use any of the loose glitter this time. 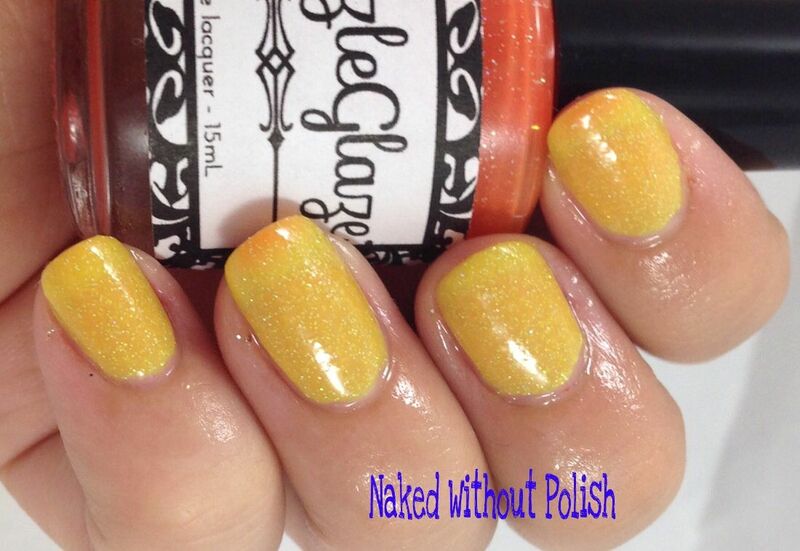 It had a wonderful formula and applied beautifully! This is my absolute favorite of the five! I can't gush about this one enough! 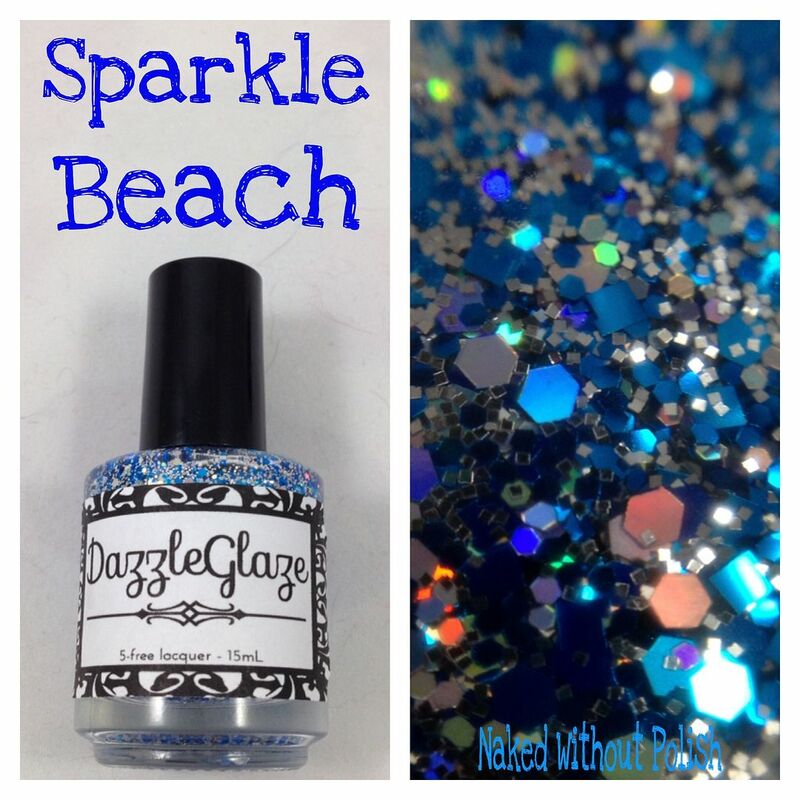 Sparkle Beach is inspired by 1995's Sparkle Beach Barbie. 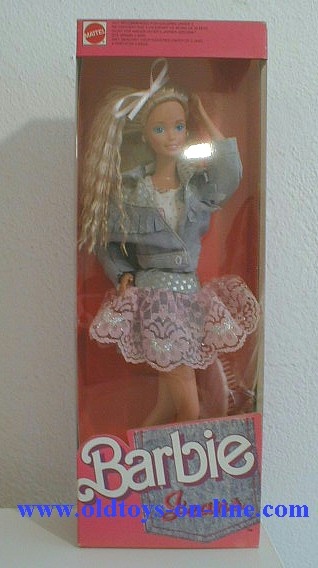 I never had this specific one, but I had one of Barbie's friends from this collection. I remember I didn't want to take her necklace off, but it always bugged me when it didn't go with the outfit I put her in. 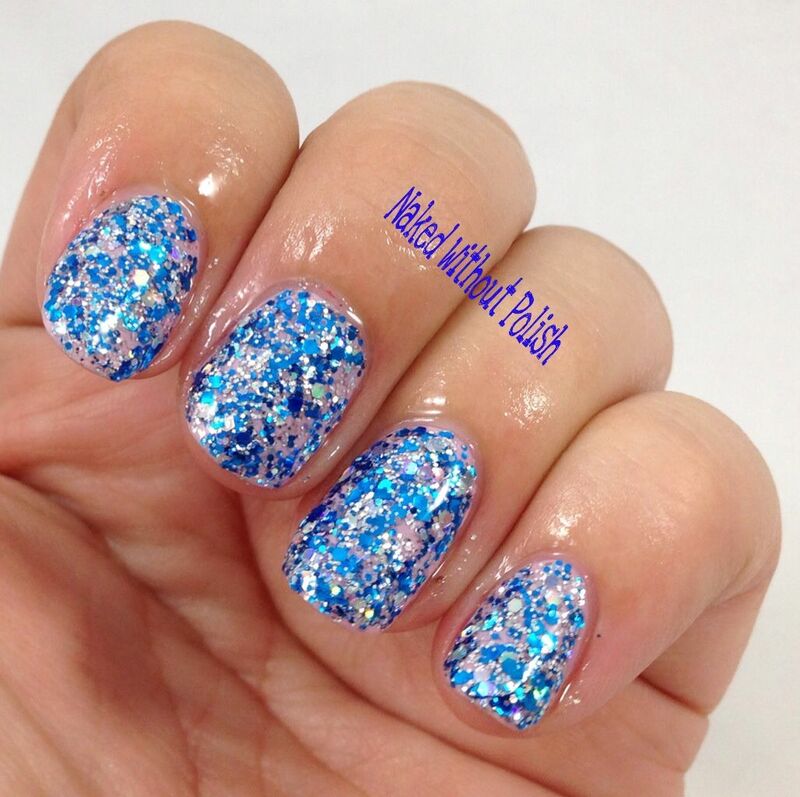 It is described as "a bling-tastic glitter bomb topper full of blue and silver holographic glitters in various sizes". 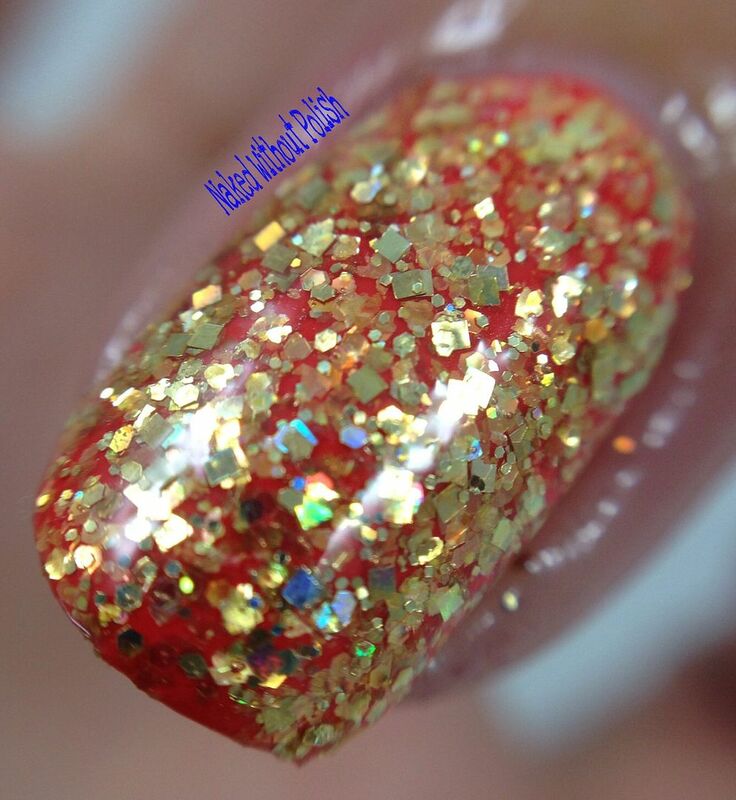 Shown is one dabbed coat over Zoya Dot with top coat. Sparkle Beach is another thick topper. It really didn't need a base color. You can barely see the pink underneath. If I would have done two coats it probably would have been fully opaque. A great topper, just don't expect it to apply smooth. You'll be dipping a couple times per nail, but you won't be doing multiple coats. Hula Hair is inspired by 1996's Hula Hair Barbie. This came out past my Barbie prime, but I do wish it would have come out when I was still playing with them! 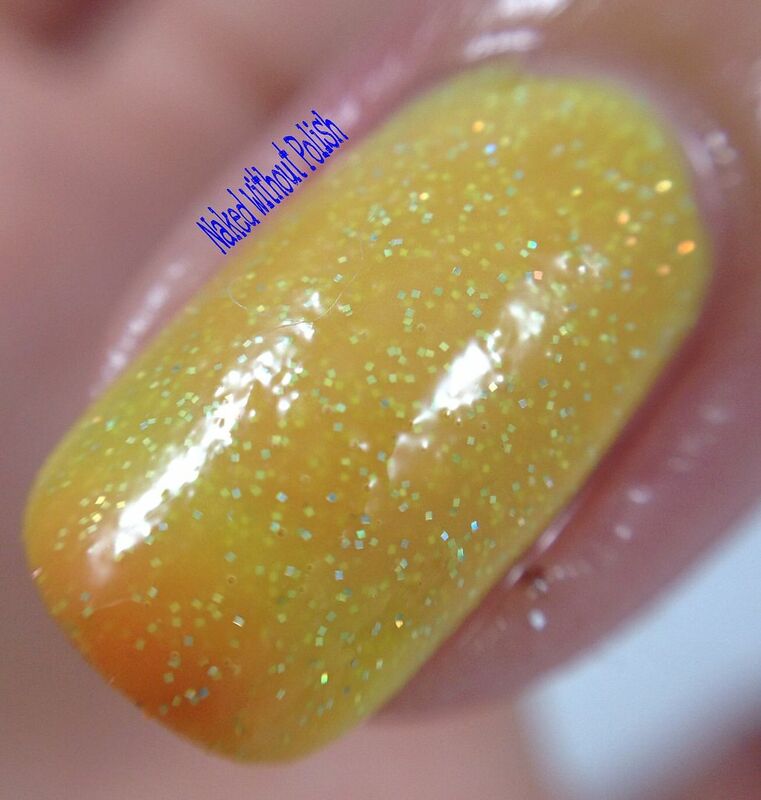 It is described as "a jelly polish that changes from orange when cold to yellow when warm and has a heavy dose of small rainbow glitter that creates a pretty shimmer effect". Hula Hair is on the sheer side. Even with three coats you can still see a slight nail line. I don't care. I freaking love this polish! 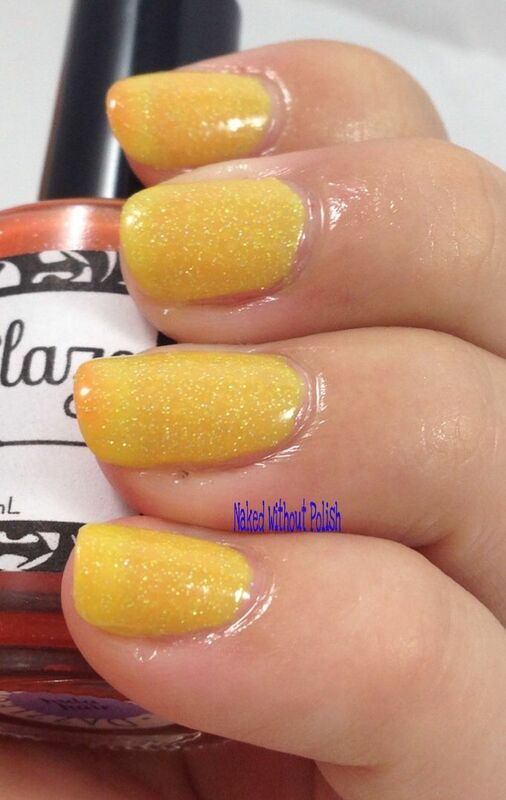 The orange is a perfect shade of tangerine and the yellow is a wonderful lemon-y shade. Great application and thermals are so much fun!! There you have it!! 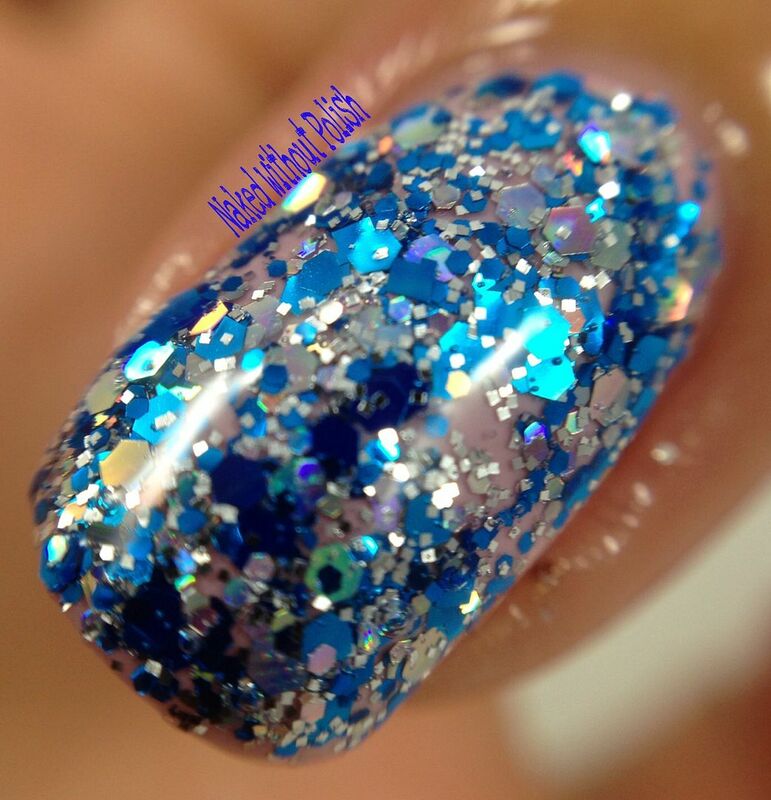 Beautiful polishes, great pricing, fun inspiration! I love reminiscing about my old Barbies! Did you have a favorite one growing up? Want to know what mine was?! Barbie Jeans was my favorite one! I loved her jacket and that crimped hair!!! Oh, and the soft pink "leather" boots she had on were simply the best! 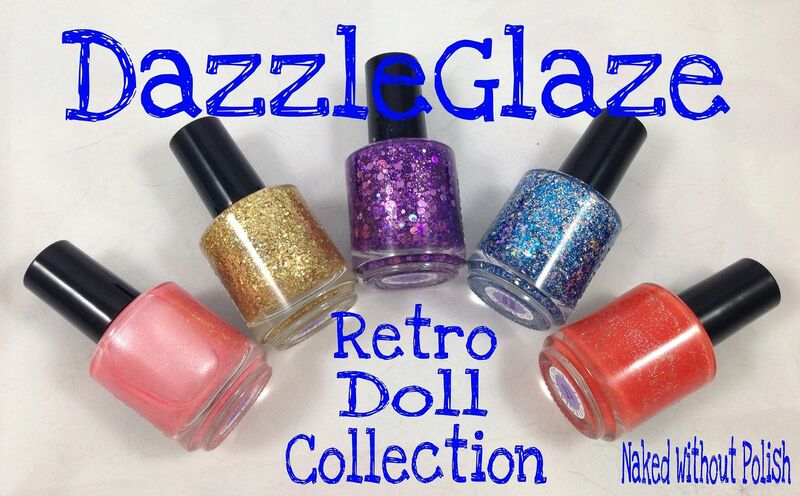 What did you all think of the Retro Doll Collection from DazzleGlaze? Have you tried any of her products? Her phone cases are absolutely adorable!! I want a couple of them! Trust me, if I get one, you all will be seeing it! !